Tamaño de esta previsualización PNG del archivo SVG: 800 × 400 iñu. Huk huyakukuna: 320 × 160 iñu | 640 × 320 iñu | 1024 × 512 iñu | 1280 × 640 iñu | 1200 × 600 iñu. 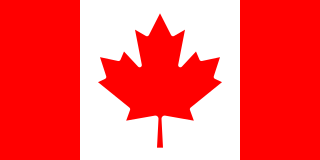 For more information, see Department of Canadian Heritage and w:Image talk:Flag of Canada.svg. Trademark protection under Trademark #0972261 created April 5th, 2007. 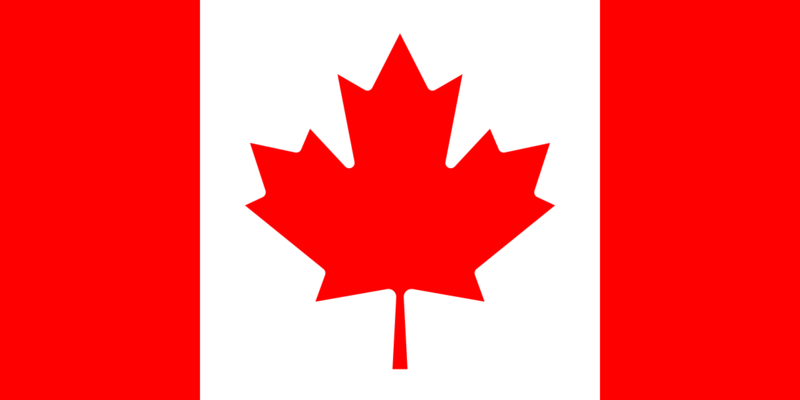 This is a "Prohibited Mark" under subparagraph 9(1)(n)(i) of the Trademark Act, being that "No person shall adopt in connection with a business, as a trade-mark or otherwise, any mark consisting of, or so nearly resembling as to be likely to be mistaken for ... the arms, crest or flag adopted and used at any time by Canada". Trademark status is independent of copyright status. (Qhipaqkuna | Ñawpaqkuna) Qhaway (aswan musuq 10) (aswan mawk'a 10) (10 | 20 | 50 | 100 | 250 | 500). 04:53 18 phi 2010 1000 × 500 (1 KB) Zscout370 I looked at the talk page and the books I have from Canadian Heritage...the angle seems right, but pushed the bottom stem part up by 2 pixels and see what that does. Qhaway mayqin wikikunapim willañiqita llamk'achinku.